“The environment” is something of a pop graveyard, and no surprise. Beyond specific conservation efforts, the problems we’ve created seem simply too vast for us to cope with as a species. No wonder our pop singers have mostly failed to rise to their own challenge and write great songs about it. “When I think about the hole in the sky,” a Lennon simpered, “Salt water wells in my eyes”. And that was about the level of it. “Earth Song” isn’t strictly about green politics – whales and elephants get a cameo, but it’s more of a general ‘why oh why’ address-stroke-sermon-stroke-meltdown on the general rottenness of mankind. But actually, if you were to write a song which really captured the impotent 3AM anguish of the environmentalist, their horror at human civilisation’s slow, placid self-immolation, it might sound a bit like this. 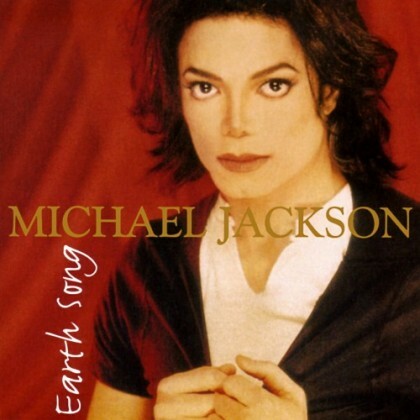 “Earth Song” is not generally taken seriously in Britain, even though it’s Jackson’s biggest-selling single here. Perhaps its fate was sealed the moment Jarvis Cocker jumped onstage at the BRIT Awards and wagged an accusing arse in Jackson’s direction. An attempt to puncture the messianic pomposity of Jacko’s kid-festooned “Earth Song” performance, he said. And, he didn’t need to add, its tactless creepiness. The specific kids became a bargaining chip in the PR to-and-fro that followed (though imagine the playground kudos!) but Cocker had a point, about the song as well as its staging. If any rock performance gets to be slammed as messianic, it’s one where the singer is explicitly addressing his song to God, then spends the video in cruciform pose, lashed by Biblical storm and fury. Between each of these growled and screamed questions a massed choir sings “What about us? What about us?” – except sometimes when they snap back “What about it?” at Jackson, a disorienting “so what?” that makes the singer seem even more alone. If you could seem alone in the widescreen pomp-rock tumult of “Earth Song”‘s closing minutes, that is. The choir makes the coda – turning Jackson’s sermonising into full-blooded hellfire preaching – and the coda makes the song. It’s the most committed, vein-popping performance we’ve seen on Popular for years, and even in despair the most swagger Jackson’s shown us for a long time too. Before that we have his version of XTC’s “Dear God”, a hand-wringing plea for the attention of an absent creator. Jackson goes for a wracked vocal – though beautifully controlled, as always – over a stately rhythm and lots of production fairy dust, and for two verses “Earth Song” is something of a chore, even if it has a lot more momentum than “You Are Not Alone” and a better, wordless hook. It’s only when the drums turn up, at almost 3 minutes, that the song begins its shift from mawkish blubfest to armageddon power ballad. Cocker wasn’t buying it, and he wasn’t alone. It’s easy to listen to “Earth Song” and think “This is ridiculous” because, well, it is ridiculous if you’re in the wrong mood for it (though sometimes it’s great because it’s ridiculous: I can like “Earth Song” and take it seriously and still enjoy sending emails saying “WHAT ABOUT THE ELEPHANTS???”). It’s lachrymose, overblown, vulgar, all things which sometimes make for awful pop music. It’s also intense, grand, and passionate, all things which sometimes make for great pop music – and seemed especially pertinent in a British pop world reshaped by Oasis, where epic was in vogue. “Earth Song” is a very rich, reclusive, strange man channeling a childlike anger at the terrible things people do through a adult, practised sense of how to build a record, and if you find the outcome queasy I absolutely understand. But I don’t agree – it’s blown up to Michael Bay levels, but there’s the same strangeness, terror, conviction and craft here as there was on “Billie Jean” or “Bad” or any of the Jackson singles from deceptively happier times. I’m not even sure it’s that well-known here tbh. As far as I recall it wasn’t even visible on the broadcast (retrospective talking heads shows have to resort to grainy outtakes with a highlight circle round a tiny figure who may or may not be Cocker, and may or may not be mooning) and only became a story a day or so later once the initial distaste, presumably from briefing by Jackson’s people, subsided and the tabloids awoke to the comic potential of the thing. Not sure about that Izzy – this clip from 5:01 onwards gives as much of Jarv’s antics as I do remember seeing on the live broadcast – a fair bit! Ha okay, that escaped me live somehow. Pity he didn’t pick a moment when MJ was actually on the stage though. Well, after he got on the cherry picker was when the pale was beyonded.. Listening again to ‘Monkey Gone to Heaven’, I was struck by how its structure parallels that of “Earth Song’. They begin in very different places – mournful bewilderment for MJ, hipster fatalism for the Pixies – but they build to similar incoherent howls of confusion and despair, in the coda of ES and the third verse of MGTH. Lyrically, MGTH is quite brilliant, I think. Casually anecdotal in the first verse, it delivers a little thrill of horror in the second with the switch to the first person. By the third verse, Francis is trying desperately to make sense of the universe. Talk me through it. It was, more than any other, the track that made me think they were nothing but overhyped gibberish. I would add: the monkey that’s gone to heaven is a lovely metaphor for human over-reach. And the third verse suggests that while the power of evil is greater than humanity’s ability to understand or control it, the laws of nature are more powerful than either of them. By the Pixies’ standards, it seems pretty explicit. Don’t ask me to tell you what Gouge Away is about, though. Sorry to all, especially Chelovek, for my small-minded and borderline homophobic comments on this thread. I didn’t mean anything genuinely malicious. 2. Another La Bouche track became Where Do You Go by No Mercy. Which of the following is not a pie? Who Do You Think You Are Kidding Mini Mussolini?